The color isn’t going anywhere. 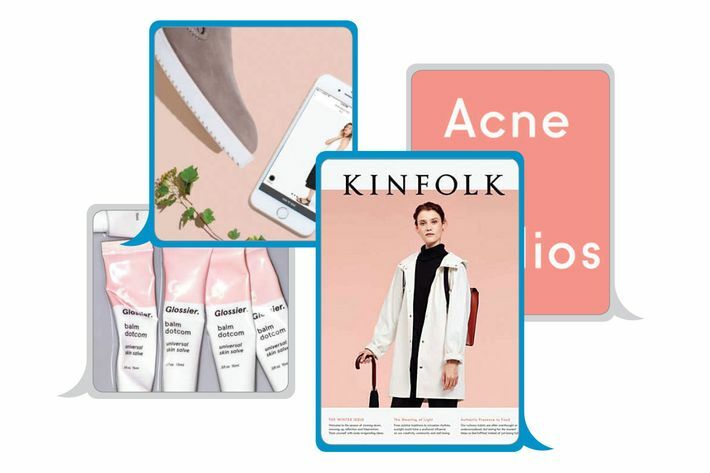 Even if you haven’t heard of Millennial Pink, or didn’t know that it went by this name (it’s also known as Tumblr Pink and Scandi Pink), you’ve seen it. At first, in 2012, when this color really started showing up everywhere, it appeared as a toned-down version of its foil, Barbie Pink, a softer shade that looks as if all the blue notes have been taken out. 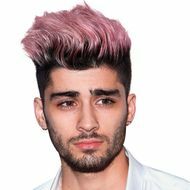 By the time everyone started calling it Millennial Pink in the summer of 2016, the color had mutated and expanded to include a range of shades from beige with just a touch of blush to a peach-salmon hybrid. 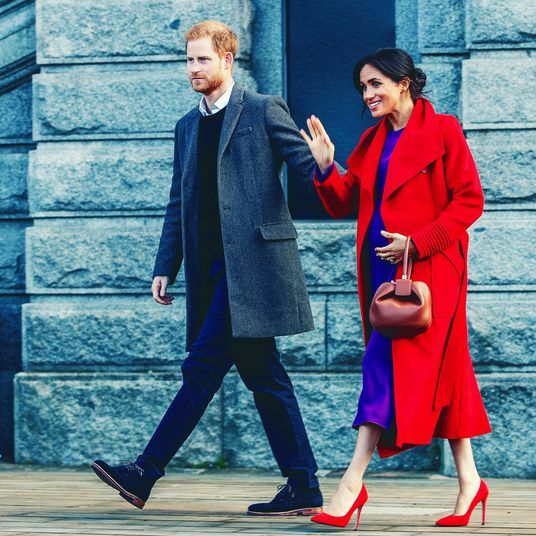 Colors always come in and out of fashion, and as our fashion editor-at-large, Amy Larocca, points out, often when Pantone declares Marsala Red or Radiant Orchid to be the next color to watch, we shrug knowingly, fully expecting to see that shade on shelves but not expecting it to invade our consciousness. This pink is different. 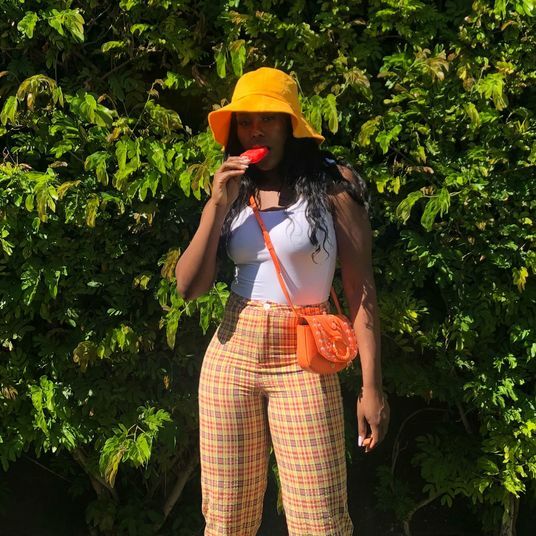 Even now, just when it seemed like we had hit a peak and it was finally on the wane, there it appeared again in Fenty’s spring look book and on army jackets at Madewell. That’s because the color keeps on selling product: “We’ve upholstered things in this emerald green that we’re excited about, but it sits there for months,” says Fabiana Faria of the boutique Coming Soon. 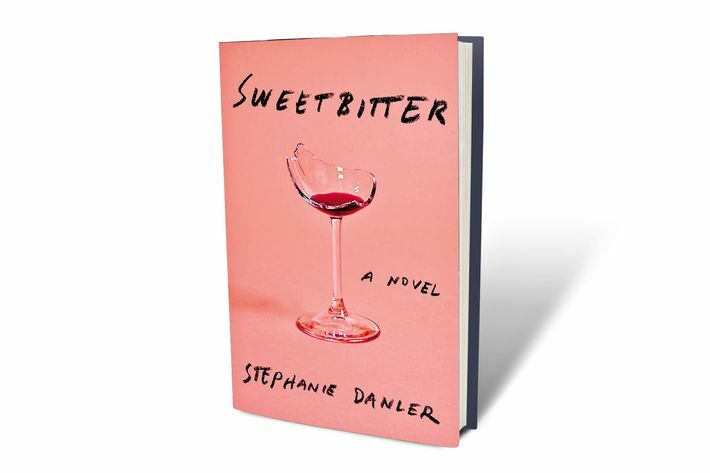 “The second I show a pink thing — anything — it leaves so quickly.” But why? 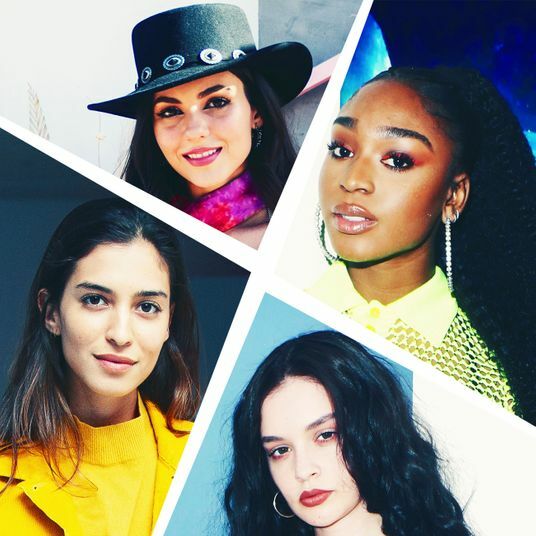 For one thing, with Millennial Pink, gone is the girly-girl baggage; now it’s androgynous. (Interestingly, back in 1918, the trade publication Earnshaw’s Infants’ Department published an article saying, “The generally accepted rule is pink for the boys, and blue for the girls.”) In these Instagram-filtered times, it doesn’t hurt that the color happens to be both flattering and generally pleasing to the eye, but it also speaks to an era in which trans models walk the runway, gender-neutral clothing lines are the thing, and man-buns abound. It’s been reported that at least 50 percent of millennials believe that gender runs on a spectrum — this pink is their genderless mascot. 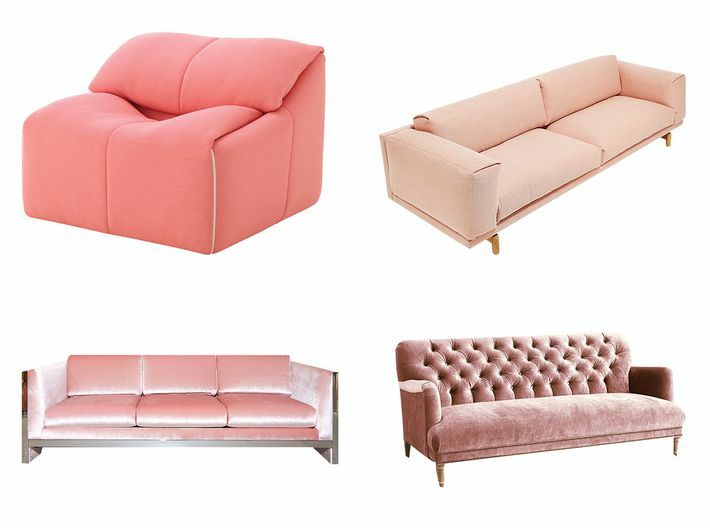 At the same time, turn-of-the-century pinks (Paris Hilton Juicy sweat suits, fuzzy Clueless pens) and tacky design tropes of the ’80s (Pepto couches) have made an ironic comeback. 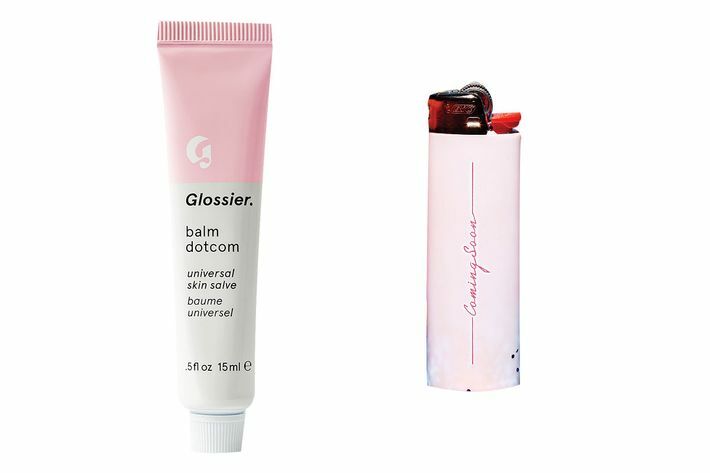 Millennial Pink’s desaturated shade is a subtle wink back to those lesser aesthetic times, paired with a sincere confidence that we’re doing it better now. It’s cheeky, sincere, and nostalgic all at once — which is perhaps why the earnest ironist Wes Anderson bathed the entirety of The Grand Budapest Hotel in the color — filling us with a bright, wide-eyed wonder and even, for at least a moment, keeping us calm. It took a long time to arrive, but now there’s no missing it. 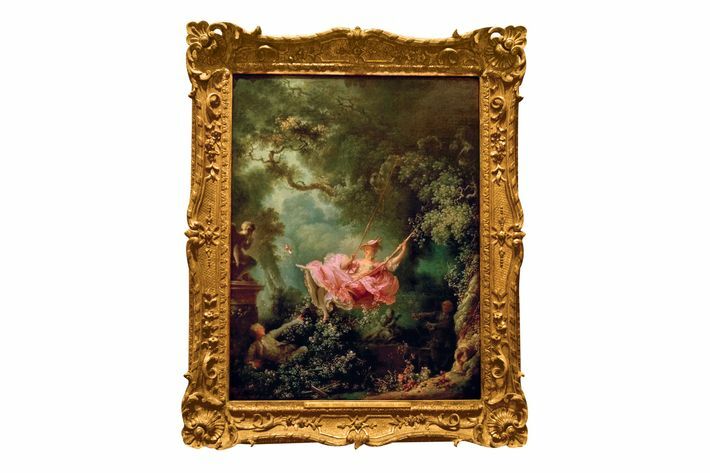 1767: Jean-Honoré Fragonard paints The Swing. 1968: Mexican architect Luis Barragán (who reportedly had his maid prepare him entirely pink meals) completes the pink Cuadra San Cristóbal. 1970s: Furniture designer Milo Baughman makes pink-and-chrome credenzas and swivel chairs. 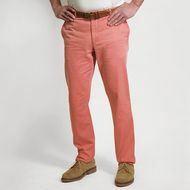 1980s: Faded “Nantucket Reds” are actually pink. 1981: Ettore Sottsass founds the pink-centric Memphis Group. 1985: Florent restaurant opens with a pink ceiling and walls. 1987: David Hicks uses light-pink wallpaper for his Vila Verde house in Portugal. 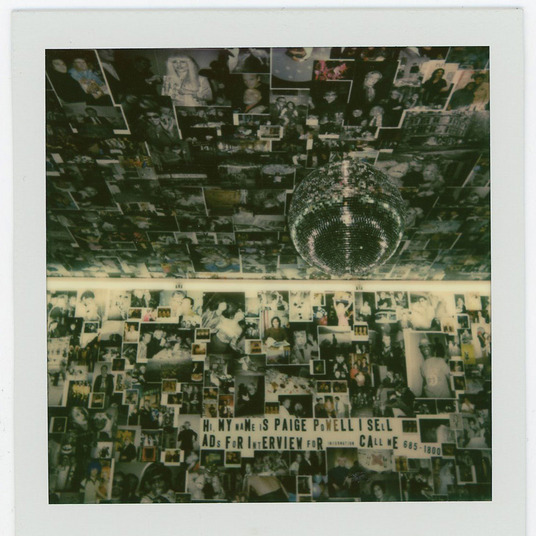 1998: Juergen Teller photographs Kate Moss lying in bed with pink hair. 2003: The Simple Life premieres, and Paris Hilton introduces a lifestyle out of pink. 2005: Paul Smith opens a neon-pink store in L.A. (years later, thanks to washed-out Instagram filters, the building’s exterior becomes a Millennial Pink backdrop for countless photo shoots). 2007: Palazzo Chupi rises (these days, its neon-pink façade has faded to a paler shade). Spring 2012: Mansur Gavriel launches its bucket bag, the inside of which is painted pink. The founders say the shade is inspired by Barragán. 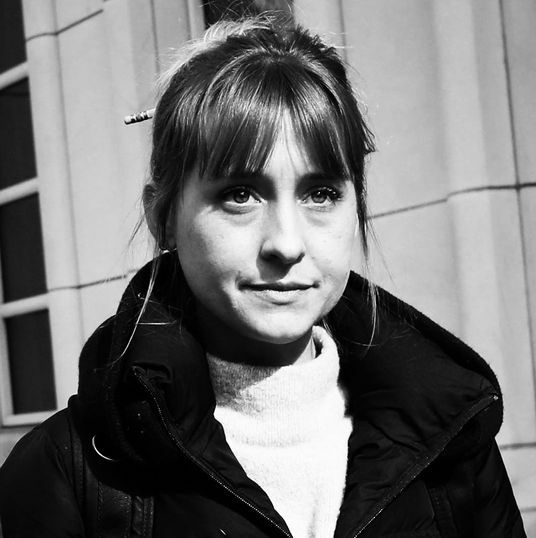 February 2013: Designer Ryan Roche reveals her first collection of clothing in what she refers to as “Ryan Roche pink,” a color inspired by her childhood My Little Pony: “It wasn’t that baby pink, it was the earthier dusty pink,” she says. 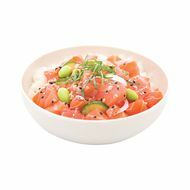 “I just remember thinking, That looks so delicious. Looking at it is like touching the softest cashmere. 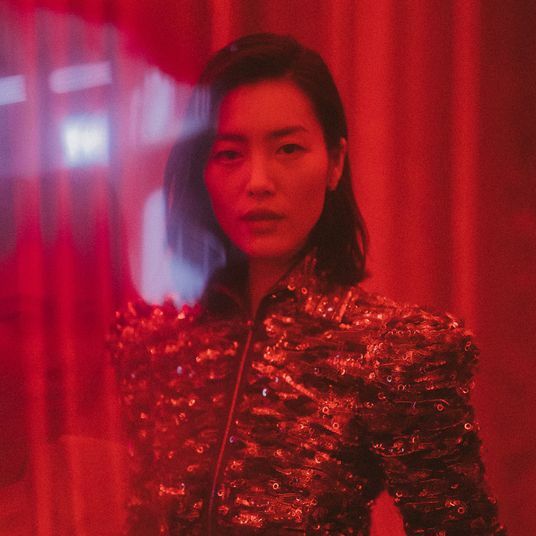 It makes me so crazy inside.” When she is nominated for the FDA/Vogue Fashion Fund the next year, she wears exclusively this color to all her events and interviews. 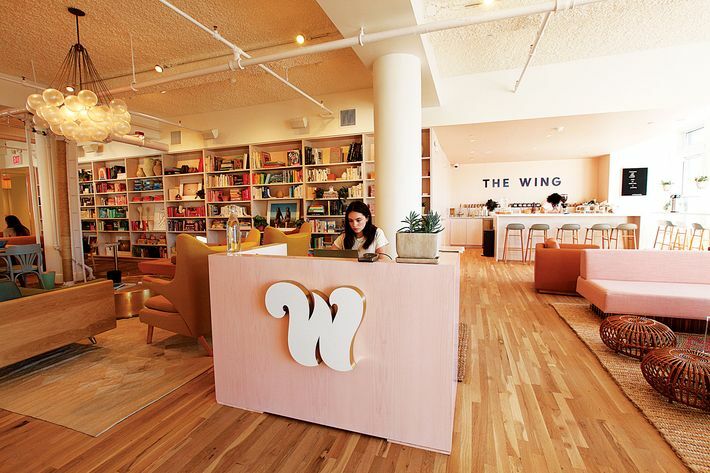 A conversation between Fabiana Faria, co-owner of the then-new Lower East Side shop Coming Soon, and Emily Weiss, founder of then-about-to-launch beauty line Glossier. Emily: I love your pink chairs. I’m working with the same color for my new company. Fabiana: I thought we were being rebellious when we first started using it. I hadn’t really seen it anywhere before. January 2014: Nasty Gal founder Sophia Amoruso unveils the cover for her first book, #Girlboss, on which she’s framed in light pink. 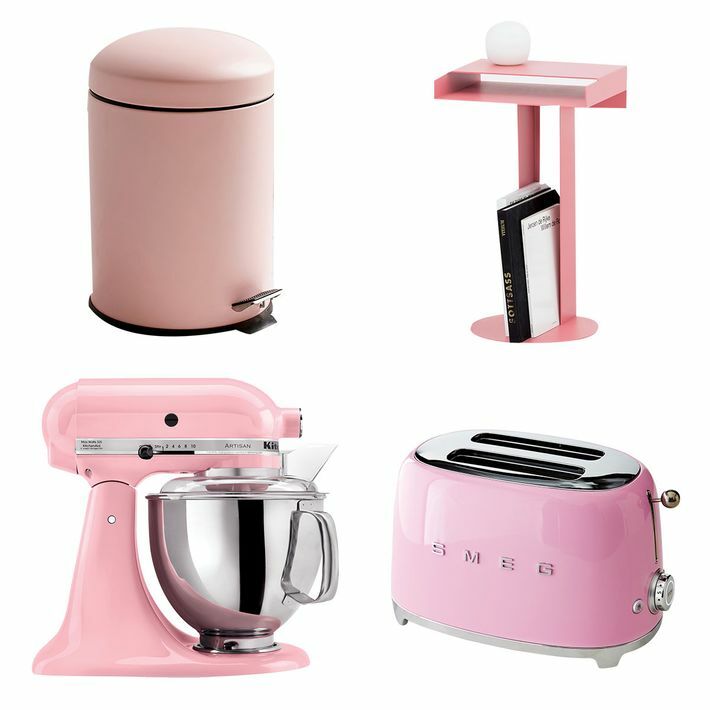 Early 2014: Scandinavian designers like Muuto, Normann Copenhagen, Space Copenhagen, Scholten & Baijings, and Bjarni Sigurdsson have embraced the color, which becomes known as “Scandi pink” on Pinterest. 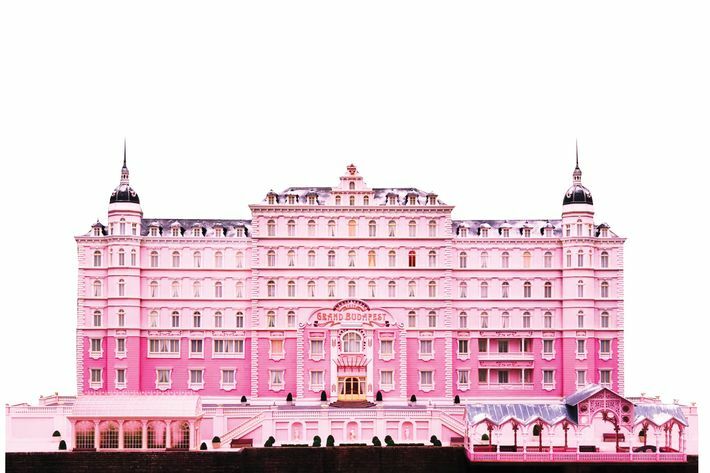 March 2014: The upper half of the Grand Budapest Hotel. 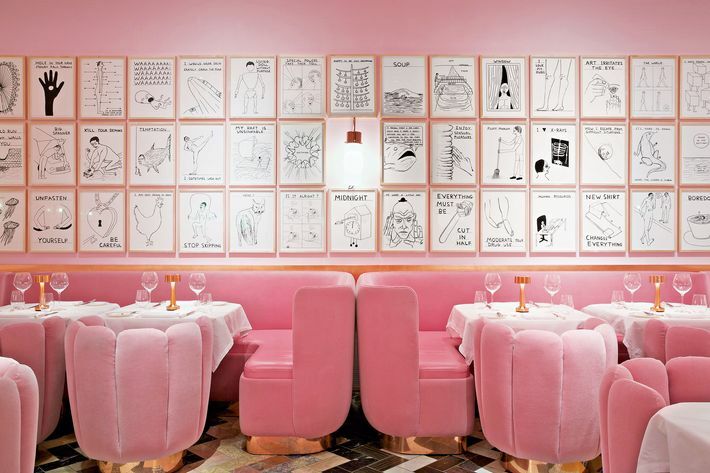 June 2014: British artist David Shrigley and the designer India Mahdavi update the Gallery at Sketch London, a restaurant, with pink walls and pink velvet chairs to complement Shrigley’s illustrations. 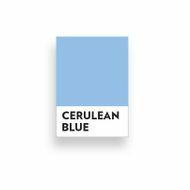 The restaurant gives the room to a new artist to redecorate every two years, but this color is so popular that they decide not to change it. Two years later, Mahdavi uses the same color on the walls in a Red Valentino store in London and on the furniture in an installation at Ralph Pucci in New York. 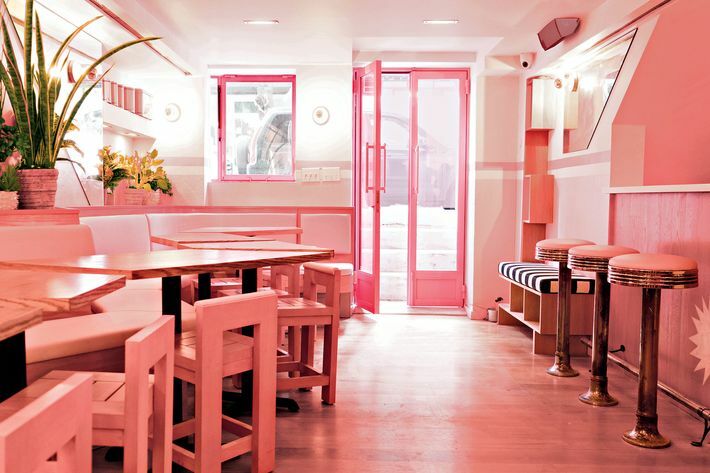 April 2015: Dimes restaurant opens a bigger space on the Lower East Side with one light-pink table. By September 2016, so many customers are requesting to sit at the table (and Instagram their grain bowls atop it) that the restaurant’s owners decide to remove it. May 2015: @PlantsOnPink joins Instagram. It’s an account of exactly that, with 73,000 followers. 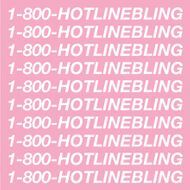 July 2015: Drake releases Hotline Bling. 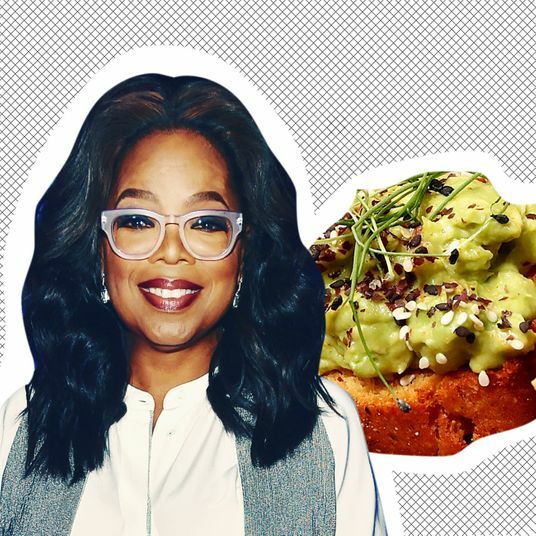 While it’s not quite Millennial Pink, we can’t talk about one without the other. Rose gold first reached its peak of influence in the early-20th century. 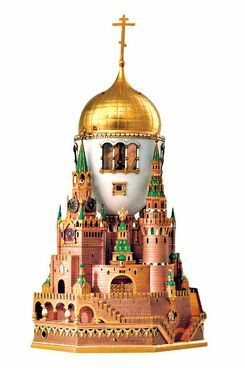 At the time, Peter Carl Fabergé employed it in the decorative “Moscow egg” he made for the czar, and it was commonly used in high-end jewelry. But toward the middle of the century, it fell out of favor until its modern-day return at the Biennale des Antiquaires in 2012, when Piaget showed an antique rose-gold ring and Boucheron a rose-gold Delilah necklace. From there, it was found on Michael Kors watches, Ted Baker zippers, and the iPhone, where it quickly exploded. Now Tiffany and Cartier offer rose-gold engagement rings, and at this year’s Kitchen and Bath Industry Show, Kohler showed rose-gold plumbing fixtures. It’s even made its way to Bed Bath & Beyond, where you can buy rose-gold toilet-paper stands and luggage. 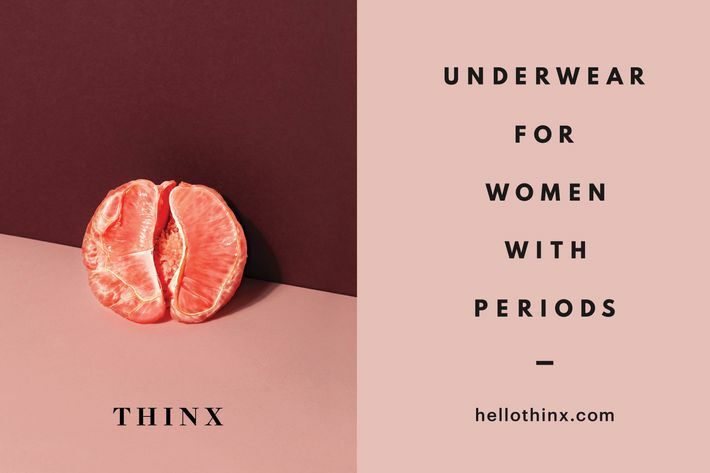 October 2015: Thinx period underwear launches a ubiquitous–in–New York pink ad campaign. The designers chose this color for two reasons: It matched the grapefruit they wanted to feature and it gelled with their idea of changing society’s understanding of femininity. November 2015: Snarkitecture x Cos opens an all-pink L.A. pop-up shop. Clockwise from top-left: Bino mini trash can, $24 at urbanoutfitters.com. Meta side table, $350 at newtendency.com. KitchenAid artisan series stand mixer, $300 at amazon.com. Smeg toaster, $150 at williamssonoma.com. 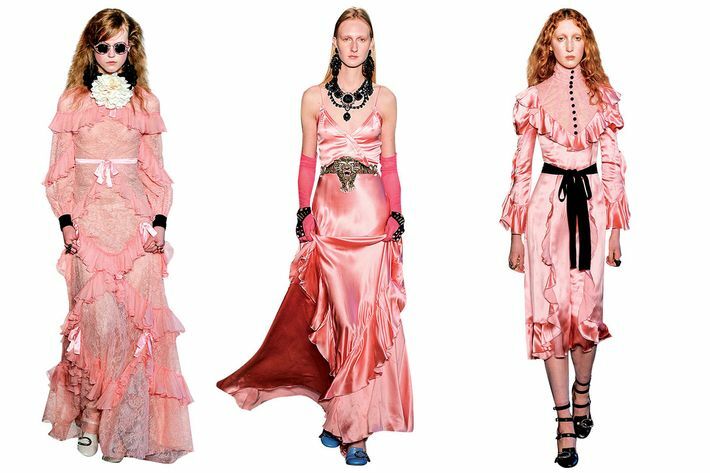 June 2016: As his influence begins to peak, Gucci’s creative director, Alessandro Michele, shows three just-enough-pink dresses at his resort collection. 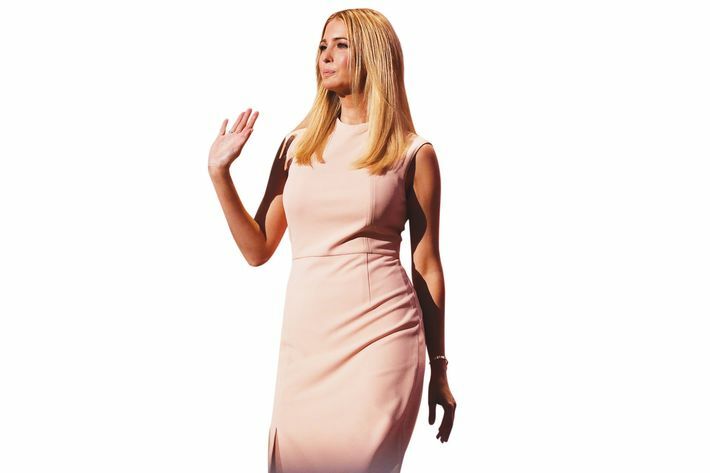 July 2016: Ivanka Trump wears a blush-pink sheath dress (from her own line) to the Republican National Convention. 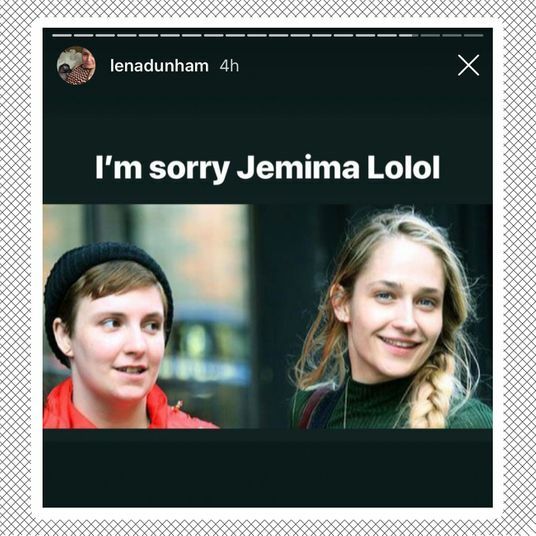 July 2016: Twitter personality and MTV writer Darcie Wilder tweets, “Im in a grouptext about how everything looks like this now,” with a collage of pink ads and magazine covers. 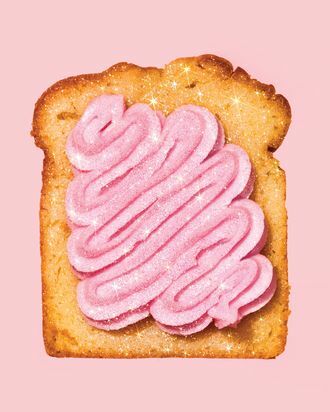 Four days later, the Cut’s Véronique Hyland writes a post titled “Is There Some Reason Millennial Women Love This Color?” And with that, the term “Millennial Pink” is born. 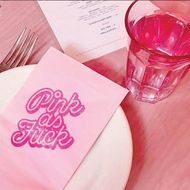 September 2016: Pietro Quaglia, a former Dolce & Gabbana intern turned restaurateur, opens the all-pink Italian restaurant Pietro Nolita in New York City. The wooden chairs and leather banquettes are two different shades of light pink. 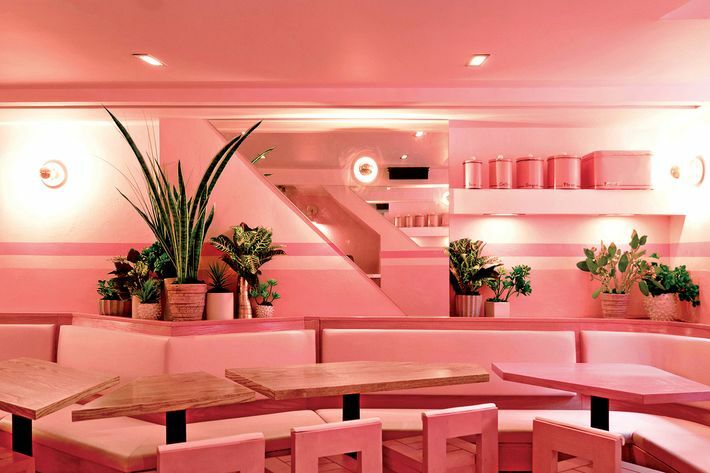 “It doesn’t feel overwhelmingly pink, because all of the pink tones and textures create diversity,” explains the restaurant’s designer, Jeanette Dalrot, who says she was inspired by the Italian designer Gio Ponti. “I wanted to do the floor in pink, but that was too much. 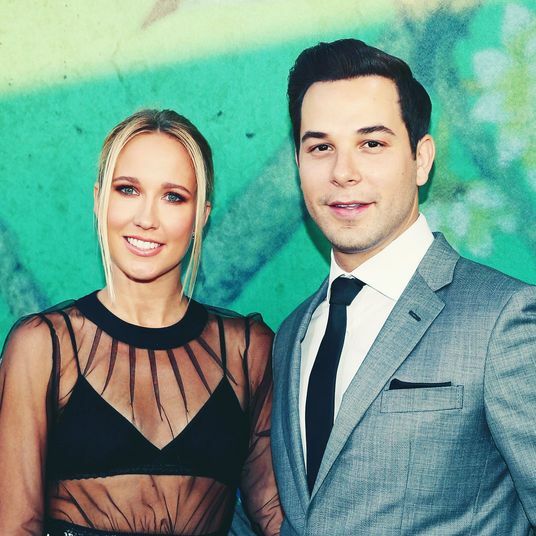 Then it became like Pepto-Bismol and Victoria’s Secret,” Quaglia adds. The walls inside are three shades of pink, but the lightest shade is actually a pink plaster. Quaglia and Dalrot had the pink pigment mixed into the plaster to get the exact color they wanted. The other two shades were chosen after sampling more than 20 pink paints. 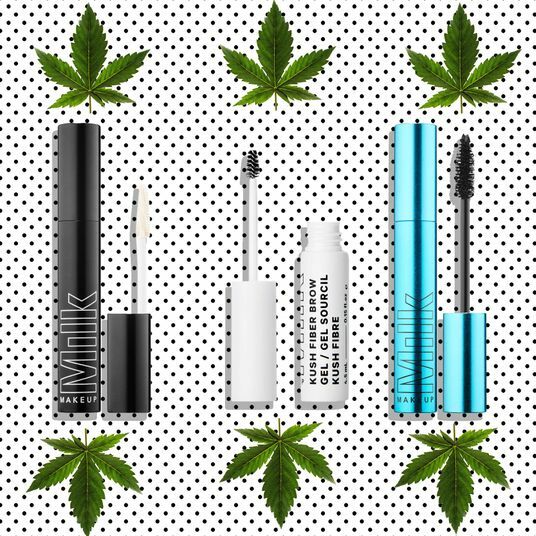 “Green and pink go well together, so we use green plants,” says Quaglia. It’s the only other color in the space. There are about eight different shades of pink in the restaurant. Most of them lean toward the bluer, bubblier shades, but the vintage lights and enamel boxes are closest to Millennial Pink. 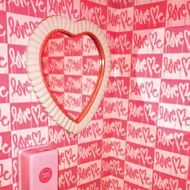 The bathroom wall is covered in pink-and-white stickers designed by the artist Curtis Kulig that are pasted to look like wallpaper. 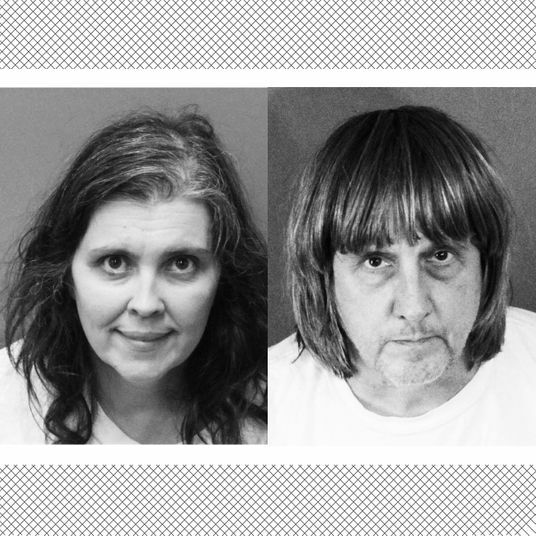 “People are always trying to steal them,” says Quaglia. He also found a pink mirror in the shape of a heart, for selfies. 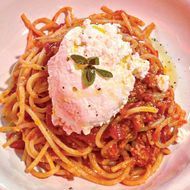 Quaglia adds a chunk of ricotta to his spaghetti al pomodoro. “I tell my customers that if you mix it for 30 seconds, it becomes pink like the restaurant.” He also serves pink cocktails with mezcal and hibiscus. February 2017: Kendall Jenner paints her walls Baker-Miller pink, claiming that it’s the only color that will help suppress her appetite. Clockwise from top-left: Plumy by Annie Hiéronimus, from $1,855 at Ligne Roset. 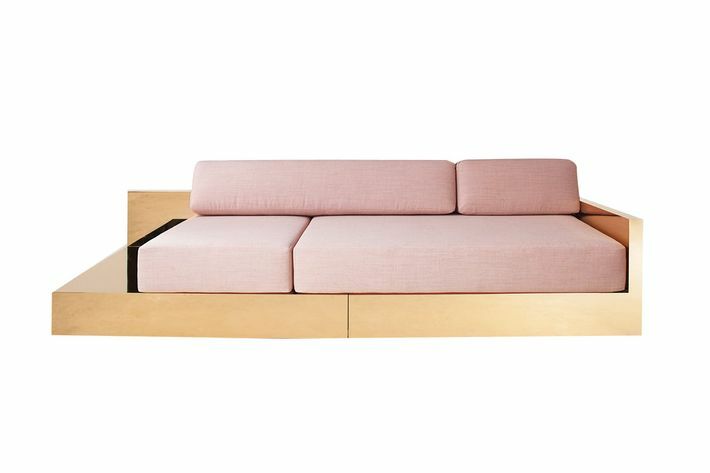 Muuto rest sofa, $4,208 at abchome.com. Milo Baughman chrome-and-velvet sofa, $4,500 at comingsoonnewyork.com. Slub Velvet Orianna sofa, $2,098 at anthropologie.com. 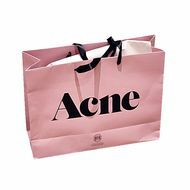 Spring 2017: Office-goods brand Poppin introduces blush for spring … So does Property Furniture … Need Supply Co. sends out an email promoting its menswear, saying, “Pink is the new black” … Madewell releases “weathered pink” jumpsuits and “dusty clay” jackets … Away introduces pink luggage … The restaurant abcV opens with pink plates … During New York Design Week, Coming Soon will team up with Sight Unseen for an all-pink show that’ll have the chef Gerardo Gonzalez from Lalito preparing all-pink food inspired by Luis Barragán’s all-pink diet. March 2017: Rihanna’s very pink Fenty x Puma silky sneaker (first shown at her SS17 fashion show) quickly sells out. 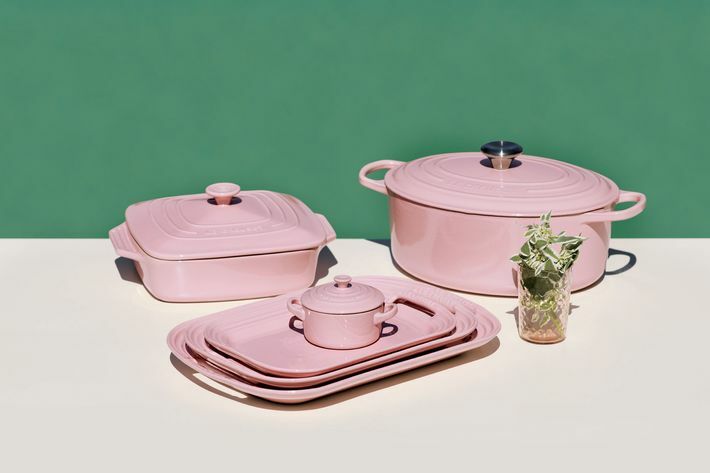 Design editor Wendy Goodman, fashion editor-at-large Amy Larocca, and art critic Jerry Saltz talk pink in trends, kitchens, and the French rococo. 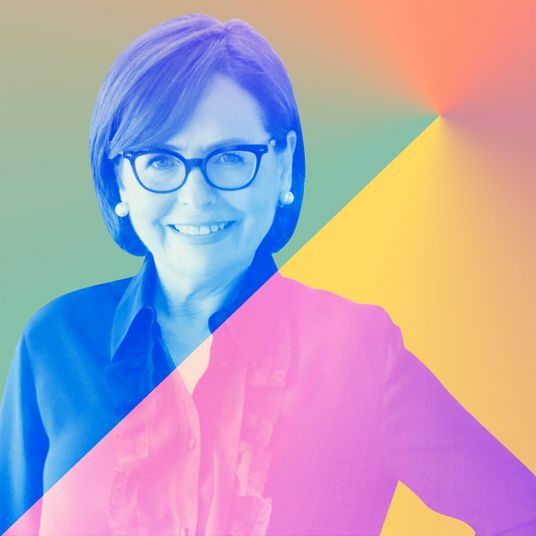 Amy Larocca: Frequently you hear those Pantone predictions and you’re like, Whatever. It doesn’t actually yield any sort of trend that you can feel or see, but in this case it really happened. It was the one time when you’re like, Gosh, Pantone, I see what you’re talking about. 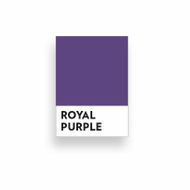 It’s fundamentally a great color that had been gendered to the point where it became obsolete, and now that maybe people can relax about that, it’s just a great color. 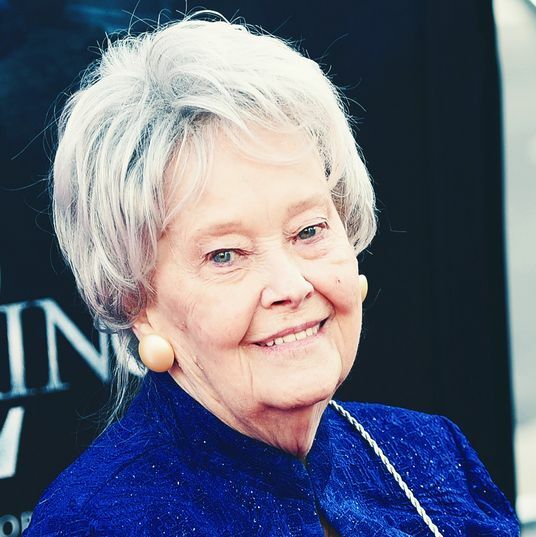 I had a question for you, Jerry: The Virgin Mary, this height of femininity, is always pictured in blue. How did that then transition? 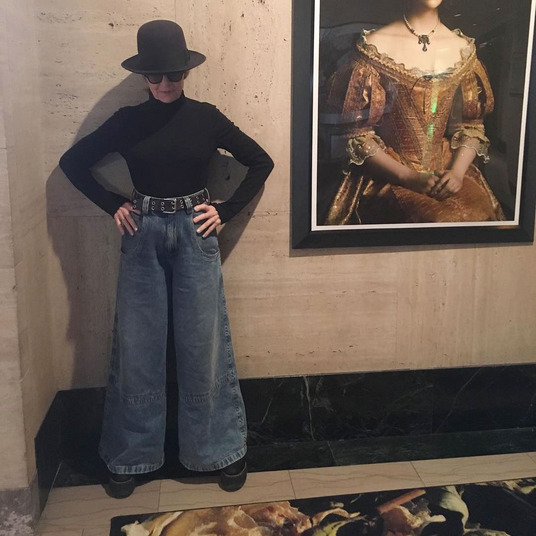 Jerry Saltz: Blue is inward suffering. She’s blue because she’s demonstrative. If you look at Mary beside the cross, she’s a mess; she knows within what’s going to happen. Michelangelo tended to always gown God in pink, which is interesting. The great male patriarchs are often painted wearing pink too. I mostly think of the French rococo when I think of pink because that’s been given a feminine connotation. Because the taste seems more feminine, people tend to not take it as seriously. It’s actually very hard to make this pink color in art. You have to get red to make pink, and it doesn’t come easy, and it’s not common. 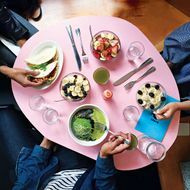 Wendy Goodman: What’s interesting about this to me is that when I look at the color known as Millennial Pink — and I’m scouting many more pink interiors lately, particularly in designated rooms like the kitchen — I’m not going, “That’s pink.” Yes, it’s a flattering color — people love to go to restaurants that have pink lighting, because you look so good! — but this particular shade is sort of copping out a little bit because it’s so beige-y that it’s safe. So actually, it’s not really pink. AL: And here’s the thing: The eye tires, and Millennial Pink is going to go out like everything else. We sent four wordsmiths a photo of the color and asked them to reply with the first thing that came to mind. Natalie Diaz: Natives are not red any more than African or African-American people are black or Asians are yellow. Most white people, however, are pink, not white. 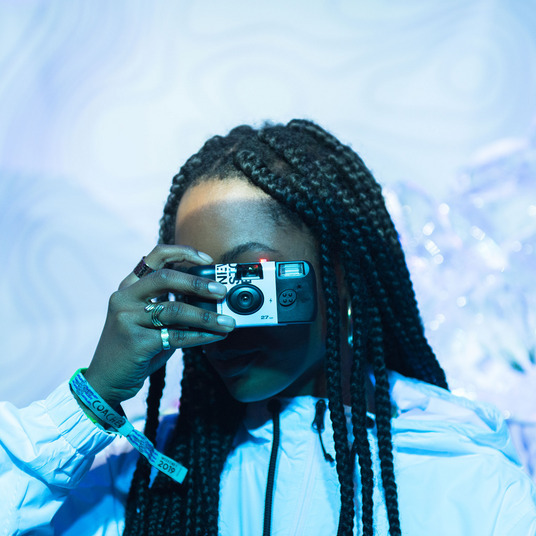 A more accurate color than Millennial Pink might be: white. A shady white, as white can be so often. Kevin Coval: Kanye’s polo / exposing the fragile / idiocy of the gender binary. ’70s: An advertisement for Frigidaire presented a kitchen with this shade of refrigerator, dishwasher, oven, and stove top. Your friends’ bathrooms had avocado-green toilets, sinks, and baths. ’80s: Mark Woodman, former president of the Color Marketing Group and an interior designer, remembers the era as the great “mauving of America.” It got so big that Delta redesigned its stewardess uniforms in the color. Early Obama years: As Woodman puts it, “It became a part of the Zeitgeist that purple is not red state or blue state but a middle ground.” It didn’t hurt that the First Lady wore at least a dozen purple dresses, too. 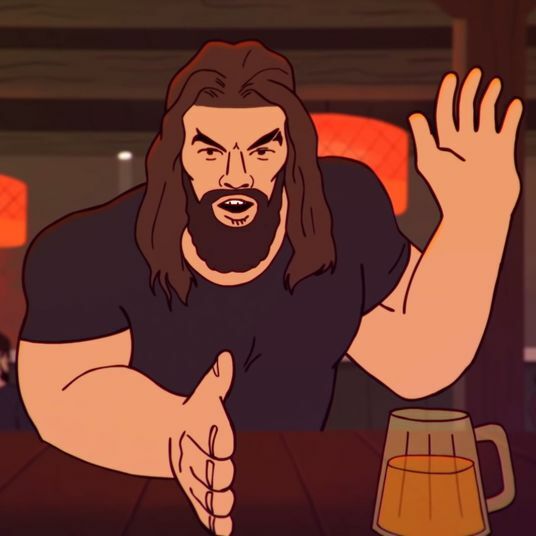 And what about the Trump years? 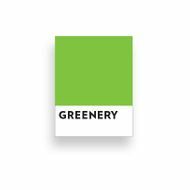 The Color Marketing Group and Pantone have placed their bets on green. 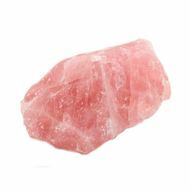 Experts say it’s a natural transition from pink since the two colors are already being used together so often. 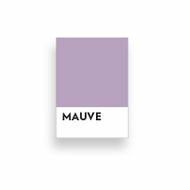 Is There Some Reason Millennial Women Love This Color?